To Drink Or Not To Drink – Get Real. January 25, 2015 • Get Real. In order to understand the ways one might view the Union continuing to go on with their LGBT+ Union drinks without CUSU LGBT+ backing, it is essential to look at the root cause of this conflict. There has been huge buzz in Cambridge lately, especially within the LGBT+ community, about Germaine Greer’s address to the Union scheduled Monday. For those of you who don’t know, Germaine Greer – academic, journalist and author of feminist novel “The Female Eunach”- was a fellow of Newnham College and caused quite a stir. Her stir was not one of rousing feminism, but rather one of trans-ignorance. Greer strongly opposed the appointment of trans-woman, Dr Rachael Padman, as a new fellow of the College. This opposition was so dramatic that it resulted in Greer resigning from the College administration. Greer’s attitude towards the trans community can in no way be condoned, she of course has the right to her opinion, but her expression of this opinion was one which has harmed and affected the career of a colleague. It’s easy to understand why many students at Cambridge are hence outraged that this woman has been given platform by the Union to speak. This brings us to the reaction of CUSU LGBT+ to Greer’s invitation. A decision has been made to boycott the Union’s LGBT+ drinks indefinitely as a show of solidarity for the trans community. Let us now consider this decision. Germaine Greer offended not only a fellow of Cambridge, but moreover has been seen by some as abusing her position of a respected feminist to push a transphobic agenda. Whether this is deliberately true or indirectly may be beside the point, for by inviting this woman many of the trans community no longer feel safe or supported by the Union. I am very conflicted myself as to where I stand in all this. Certainly I am all for people having the right to boycott for personal reasons and I also think Germaine Greer ought not to have been invited on the basis that it is disrespectful to Dr Rachel Padman, who still works here. However, one could also argue that the whole point of Cambridge and its Union is to provide a platform for free speech and intellectual debate. While of course if someone finds a speaker personally triggering they are by no means obliged to attend the event, should that mean that those who may wish to confront the polemical figure in person cannot do so? By enforcing a boycott, not only of the debate but also of the drinks, has CUSU LGBT+ left those who might choose to go with the label of “transphobic”, even if their agenda may be to call Greer out on her views? If we were to separate the Union debate from the LGBT+ drinks, we might see their choice to continue without CUSU backing as disrespectful of the choice to unite with the offended trans community. Then again, is it also fair for the persons at the Union organising the drinks this term to, who may not have had any real say in the sending of this invitation, to take the brunt for someone else’s error? The Union has thus far been nothing but supportive of our community. In fact we might also see this as the Union’s way of making clear that Greer was not invited with the Union’s approval of any potential transphobic activities, and that it has every intention of continuing support of the LGBT+ community whether it asks for it or not. There are clearly very different sides one might take on how to now view the Union and their recent decision to continue with the LGBT+ drinks night. Both make valid points and clearly the main point to put across is that regardless of how the sides choose to act, we are all in support of the trans community and want to ensure they feel safe. The question I would like to put forward is: which reaction is more harmful than helpful? Perhaps there is no clear answer, but it is one we can only pursue alone, we must be given our freedom to think for ourselves with no various different socio-union restrictions impeding us. 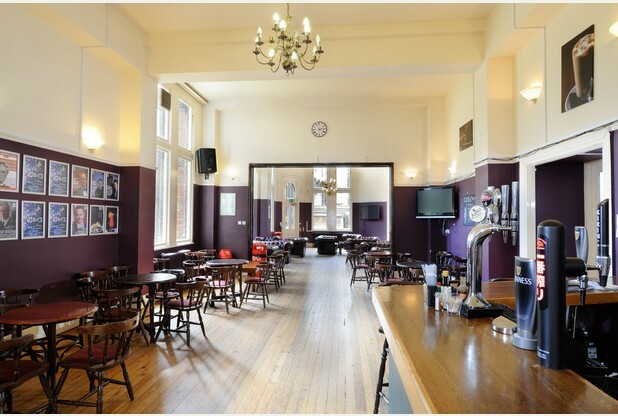 Posted in DiscussionTagged Agenda, Cambridge Union Society, Drinks, Feminism, Germaine Greer, LGBT, Rachel Padman, TransphobiaBookmark the permalink.